Progressing strategic priorities in a coordinated and collaborative manner, the GP Alliance provides input into a number of key policy and service delivery issues. To provide a forum for discussion of issues of relevance to general practice. To provide an opportunity for information sharing between the MOU signatories. To create opportunities for improved coordination and alignment of activities. 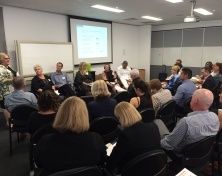 To provide for a consistent and coordinated approach to Queensland Health and other key state level stakeholders. To review and develop policy relating to general practice, as resources allow. To develop and implement joint action plans around key issues as resources allow.